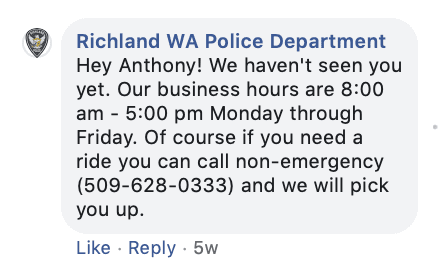 Local police departments have had a lot of success finding wanted criminals by using their social media accounts. 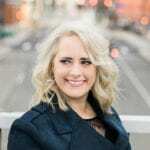 It gives civilians a chance at helping them cover more ground, hopefully locating the innocent-until-proven-guilty person(s). 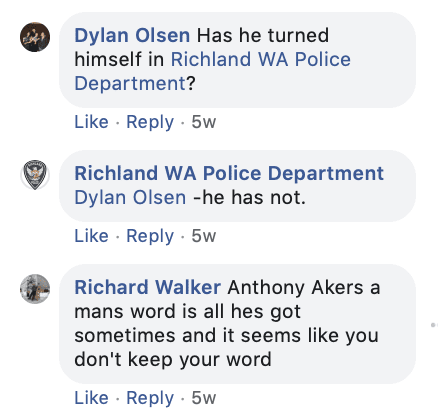 The Richland WA Police department posted on Facebook when they were looking for Anthony Akers for “Failure to Comply”. 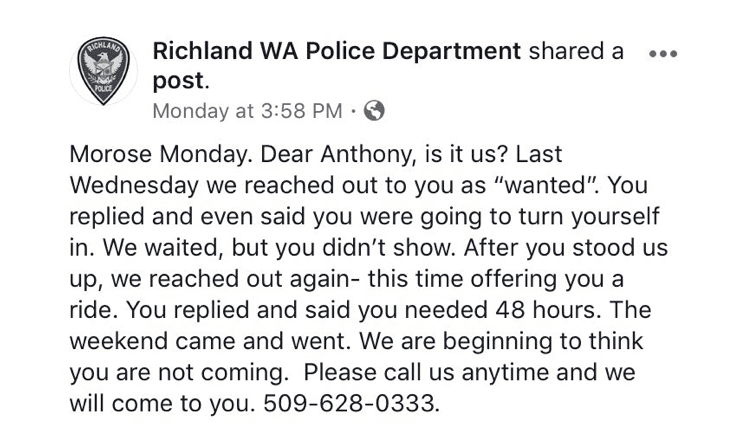 I’m pretty sure they didn’t except the response they received – from the “wanted” man himself. Here is the original post! 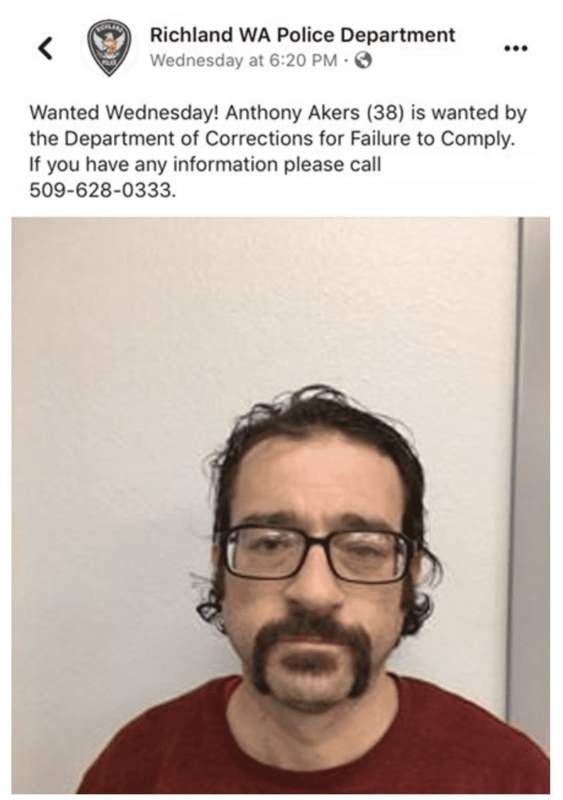 The police were kind enough to give him their hours as well as offer him a ride to the station. Apparently, Akers didn’t show up immediately. But he let them know he was on his way…eventually. 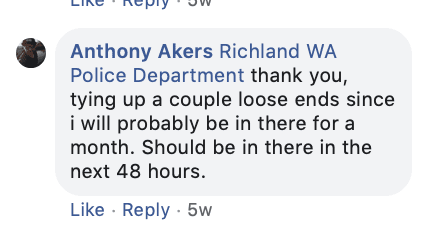 Facebook users reached out and learned Akers was still “typing up loose ends. 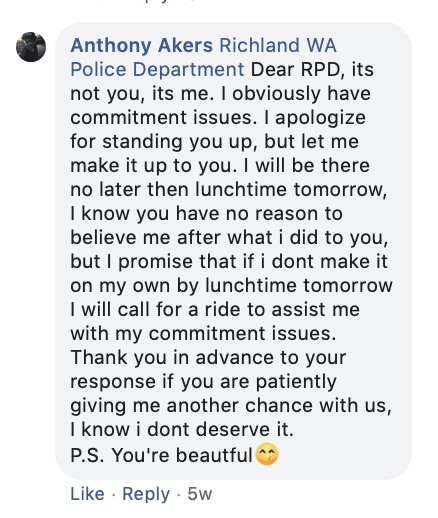 Akers was kind enough to compliment the police and stay in touch as to when he would arrive. 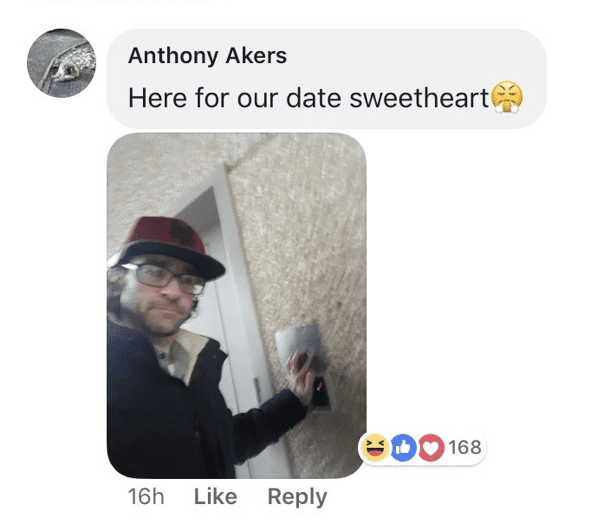 A week later, Aker’s was still missing.